WIN SEQUIN PARTY NECKLACES IN BRICK LANE & COVENT GARDEN! 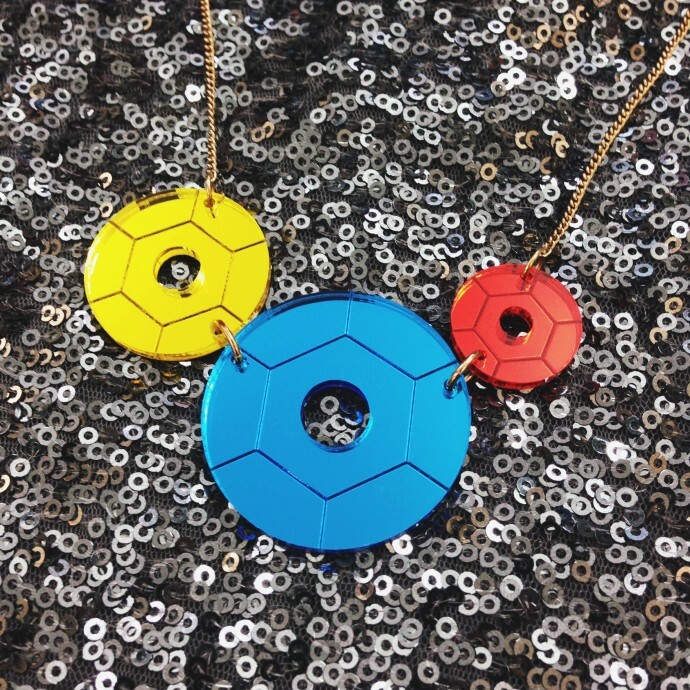 Fancy getting your hands on your own Sequin Party Necklace for the festive season? This weekend, we're giving you the chance to win your own party piece in our Brick Lane and Covent Garden stores. We're giving away a total of 12 Sequin Party Necklaces over the weekend. To enter, pop into our Brick Lane or Covent Garden stores on Saturday or Sunday at 11am, 1pm or 4pm and say "I'm dreaming of a sequinned Christmas!" to a member of our team. The first person to do so at each time will win a necklace! It's that simple - good luck! Lucky enough to win a necklace? Make sure you tweet or tag us on Instagram. The small print: On Saturday 20th and Sunday 21st of December 2014, the first person to go into our Brick Lane and Covent Garden stores and say "I'm dreaming of a sequined Christmas" to a member of our team at 11am, 1pm and 4pm will win a free Party Sequin Necklace. There are three necklaces to win each day in both stores. Prizes are on a first come first served basis and only one necklace can be won per person over the duration of the competition. Our employees, their families, agencies or anyone connected with Tatty Devine can’t enter this one, sorry. There is no cash alternative, and your prize is non-negotiable, and non-refundable. Good luck!